Contact FairLifts to hear more about helicopter lift services or get a complimentary pricing estimation 843-492-0427! 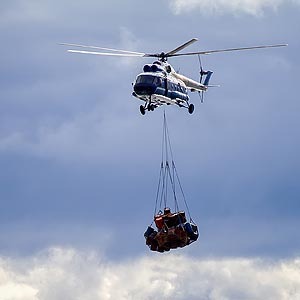 FairLifts is a full-service heavy lift helicopter services provider. From HVAC and adapter curve replacement to utility transmission line construction and repair, there is no helicopter lift job that FairLifts can't manage. We excel at planning the logistics of long line external-load projects and we offer fast, free quotes on any job. 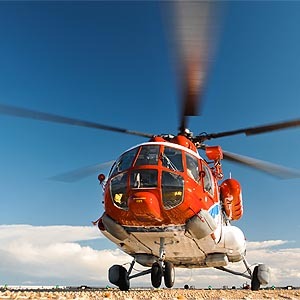 We not only strive to serve the residents of Myrtle Beach, but also wish to establish ourselves as a global leader in arranging the safest, most effective, accurate and timely helicopter lift solutions anywhere. Many helicopter lift services have been employed in Myrtle Beach in recent years specifically with the need for assistance in the natural disasters of Hurricane Harvey, Irma and winter storms. These helicopters were used in emergency situations including evacuations and rescue efforts. However, that is only a small portion of the scope of services helicopters can offer those living in and around MB. 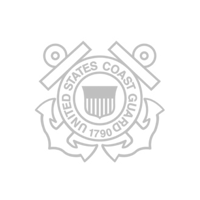 Helicopters can and have been used to assist utility companies such as Santee Cooper to conduct power line patrol and erection of lines as well as to convey heavy machinery and employees of those working on oil rig production off the coast. From the lift capabilities offered exclusively by helicopters of heavy construction materials to buildings as tall as Margate Tower, to assisting MBPD with search and rescue and the Coast Guard with shark patrol, heavy lift helicopters prove to be a formidable force when it comes to assisting those individuals and companies in the city. If you are ready to start the reservation process or just need some more information specific to a particular service, reach out and contact FairLifts through our customer support. Call 843-492-0427 today!